State Government has released Rs. 50 crore to the procurement agencies of the State which had collected apple from the growers during the previous apple season under Market Intervention Scheme (MIS). This was stated by Chief Minister, to a delegation of apple growers led by Narender Bragta, Horticulture Minister. Chief Minister directed the authorities to release a sum of Rs. 12 crore to clear arrears of apple growers who had supplied apple to HPMC and HIMFED, designated procurement agencies during previous apple season in the State when the State had record apple crop. He assured the delegation that the State Government was committed to protect the interest of the farmers and apple growers and had been extending best of the cooperation to them to help them market their produce to different market terminals in the country. He said that MIS was being implemented with a view to ensure minimum price to the growers in the market thereby protect their interests. He said that the State Government had made all possible arrangement to facilitate the transportation and marketing of the apple produce and would ensure maintenance of the roads in the apple growing areas. He said that concerned authorities had been directed to ensure that no inconvenience was caused to the growers of the State during the ensuing apple season. Narender Bragta thanked the Chief Minister, for sanctioning Rs. 12 crore more to clear the MIS procurement arrears to the growers. He said that the growers of the State were indebted to the Chief Minister for protecting the interests of the apple growers. 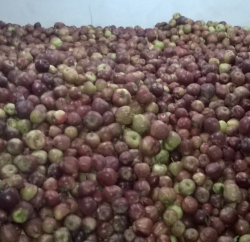 He informed the Chief Minister that he was personally visiting the apple growing areas to ensure that the growers were getting packing material at reasonable rates and the road conditions were good to facilitate the smooth movement of the apple loaded trucks during the ensuing apple season.